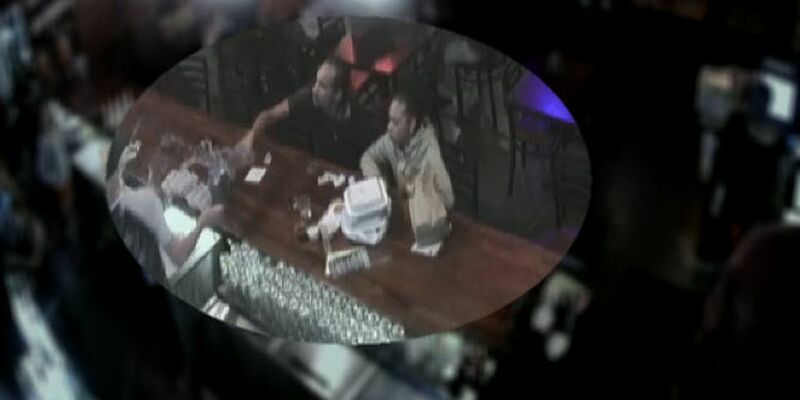 CHARLOTTE, NC (WBTV) - An assault at a popular restaurant in west Charlotte was caught on camera. The incident happened on October 11, at Pinky’s Westside Grill at the corner of Moorehead Street and Freedom Drive. The video begins with a man and woman sitting at the bar eating and drinking. At one point, the man appears to become upset, and begins knocking things around in front of him. That's when he picks up an almost-full glass and throws it at the bartender. The glass appears to strike the bartender in the face. There is no word on the extent of his injuries. After several other employees come to intervene, the man and woman appear to walk calmly out of the bar. According to Charlotte-Mecklenburg Police, the woman - whose name has not been released - was cited for disorderly conduct at the scene. The man, according to police, left the area before police arrived. There is no word on whether police have identified him, but he is still being sought.